Hello again lovely readers! I have to begin today's blog post by apologising for my lack of activity on Helloelibeth.com this month. 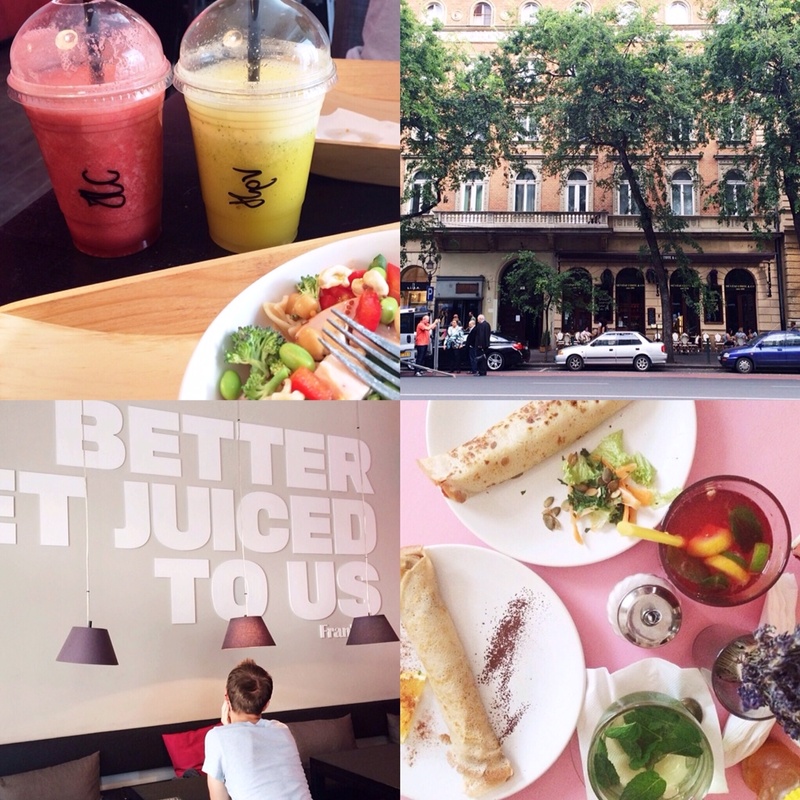 As some of you may know from my Instagram, I was recently travelling around Europe with my boyfriend before heading back to University. While I would have liked to fill you in along the way, it was difficult for me to post as I only had my phone and some dodgy wifi! Now, enough with the (pathetic) excuses and on to the post. I may not have been able to keep you updated on my trip at the time, but there's no reason not to share my travelling story now. In August, I finished working on my summer internship and began planning a last minute trip across Europe. We decided to choose four cities, across four countries, to travel to within about a two week period. Because both myself and my boyfriend are still students, we were keen to keep costs low. We decided to opt for buses rather than trains as a means of transport as the difference in prices is unbelievable. In total, our transport cost us €32 as opposed to €60 for a single train trip. I highly recommend this way of doing things to anyone thinking of travelling across European countries. Two out of the three buses we took were operated by Eurolines, one of Europe's largest coach companies. I was extremely impressed by the service offered by Eurolines, with free water, magazines and newspapers available on both of our trips with them. The views from the buses were spectacular and the hours really did fly by! The first city in which we found ourselves was Budapest, a lively, bustling centre of activity with lots to do and see. The architecture throughout the city is fascinating, with lots of old building and bridges to admire. Although the nightlife in Budapest is famous, we filled our days with sightseeing and so were too tired to experience much of the famous buzz. I fell in love with the city during my time there and I would highly recommend everyone to go and experience it for themselves. After Budapest, we got ourselves on a bus to Bratislava where it then decided to rain on us throughout our entire time there. Nevertheless, Bratislava is a unique little city with lots on offer. My highlight has to be finding 'Funki Punki' a small cafe specialising in delicious crepes, lemonades and teas. Prague was our next stop along our journey and while it is an amazingly beautiful city, it is extremely busy and jammed with tourists all day and night - something to keep in mind when thinking about heading there. Prague boasts a number of quiet island parks along the Vltava River as well as the amazing Prague Castle overlooking the city. We splashed out on a whole €7 (!!) for a full castle ticket, allowing us to visit most of the buildings and churches that make up the castle and it was so worth it. Wroclaw was our last and probably least well known destination on the trip. I got the feeling that this Polish city is popular with Polish and Russian tourists rather than Irish and UK travellers, with very little english being spoken around the place. While in Wroclaw we visited a beautiful botanical gardens and a brilliant zoo that allowed us to get much closer to the animals than any I have ever been to before. While I was a bit anxious setting off on the trip, it was a fantastic experience with very few problems. We chose to stay in private rooms in hostels in each of the cities, which worked out better than I ever could have imagined. I'm so pleased we took the plunge and booked this trip, and really recommend the same to anyone who's interested in seeing a few different places on a budget!